Dr. Richard Milani brings a unique level of innovation and expertise to his role as Chief Clinical Transformation Officer for Ochsner Health System. He is currently Vice-Chairman of the Department of Cardiology, Professor of Medicine at Ochsner Clinical School – The University of Queensland School of Medicine in New Orleans, Louisiana. His background and research focus on population health with a special interest in chronic disease and medical informatics. He serves as the Medical Director of Innovation Ochsner (iO), a health innovation lab that is a subsidiary of the Ochsner Health System. 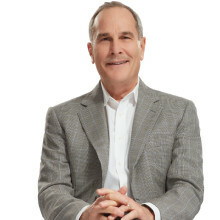 After receiving his Internal Medicine training at the University of Florida, Dr. Milani completed fellowships in Critical Care Medicine at the University of Florida, Preventive Medicine and Clinical Epidemiology at Harvard University (Massachusetts General Hospital), and Cardiovascular Diseases at Ochsner Clinic Foundation. He has authored over 500 medical publications and serves as a frequent lecturer for healthcare systems and Fortune 500 companies. Additionally, he is a reviewer for several medical journals, and is the author of Death and Dollars: Solving the Epidemic of Chronic Disease.